Jimmy Spagnolo has undergone treatment for a glioma or tumor of the brain or spine since he was 4 months old. He's now 6 and a first grader in Pittsburgh. On Feb. 2, he rang a bell at Children's Hospital of Pittsburgh to signal the end of treatment. Jimmy Spagnolo is a 6-year-old dancing machine. Interested in Person of the Week? Add Person of the Week as an interest to stay up to date on the latest Person of the Week news, video, and analysis from ABC News. 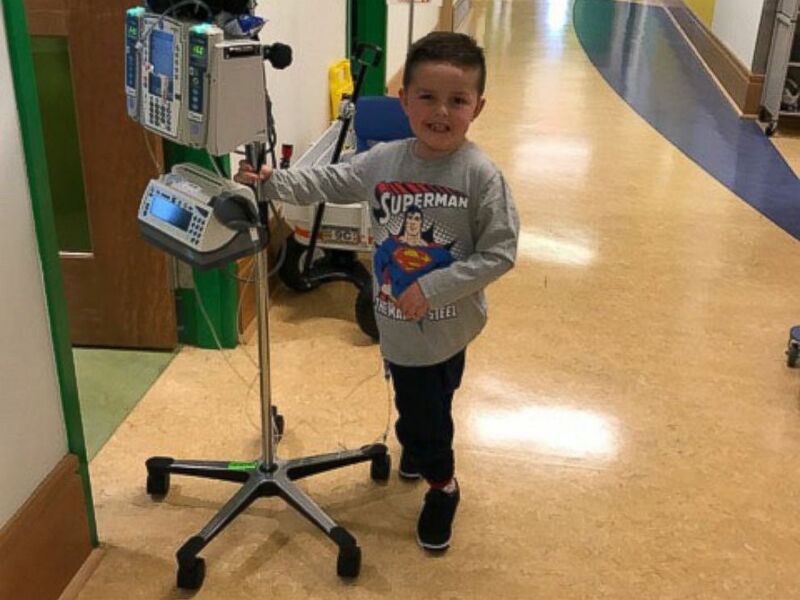 Videos posted by his mother, Lacie Spagnolo, to social media chronicling his fight against cancer show him bopping, smiling and clapping down hospital hallways. "Music is in his soul," Lacie Spagnolo told ABC News today. So it made sense that after Jimmy, a first-grader from outside Pittsburgh, rang a bell last week signaling the end of his final chemotherapy treatment, he screamed, hugged his family and then, of course, began dancing. Lacie Spagnolo told ABC News today that it was Jimmy's first time getting to ring a bell. "It was like awesome. I'm so glad to be done," he told ABC affiliate WTAE-TV in Pittsburgh. "I'm so glad to be done treatment." In 2010, when he was just 4 months told, Jimmy was diagnosed with a glioma, or tumor of the brain or spine. Lacie Spagnolo said he underwent four one-year rounds of chemotherapy. On Feb. 2, Jimmy, donning a Superman shirt, was joined by Lacie Spagnolo; his father, Jim Spagnolo; his sister Lily; and medical staffers at Children's Hospital of Pittsburgh as he celebrated the end of his latest cancer treatment. "I'm done!" he exclaimed as the port for his chemotherapy was removed from his chest. Jimmy Spagnolo has undergone treatment for a glioma or tumor of the brain or spine since he was 4 months old. He's now 6 and a first grader in Pittsburgh. The next day, on Feb. 3, Jimmy returned to Rogers Primary School and was welcomed by students, teachers and administrators with what else but a party. And yes, there was some dancing. "We felt Jimmy's elation," Lacie Spagnolo said today. "We felt completely loved by all the staff of CHP that shared our joy with us and that love our little boy ... To feel the support on a community level, the people you see every day cheering your son on and celebrating his victory as if it were their own — that's a community worth being a part of, a community of good people with big hearts." Lacie Spagnolo said Jimmy would get his next MRI scan in March to see how well the chemotherapy worked and then scans every three months for the next year. "As long as the scans are stable, Jimmy gets to stay off all medications," she said. "We live our life three months at a time ... No matter what, we handle it as gracefully as possible because we have the gift of Jimmy every day and that is a blessing in itself." 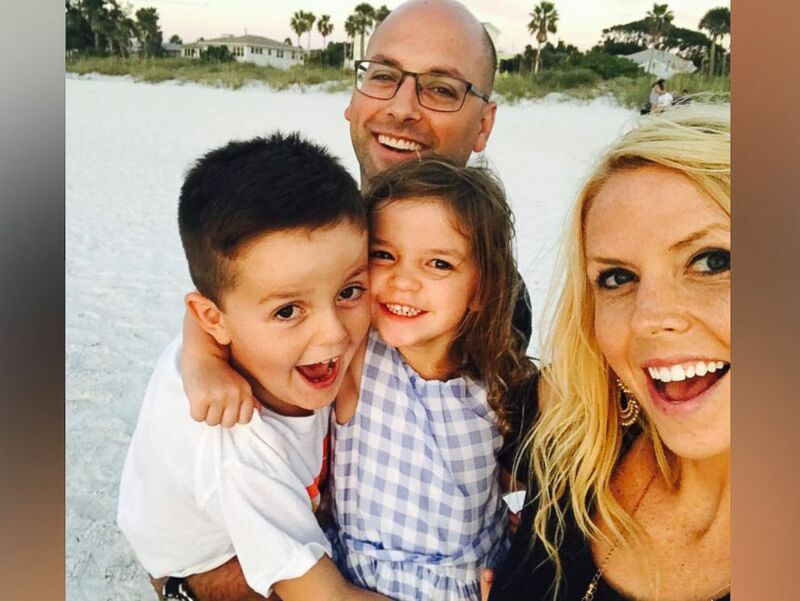 Jimmy Spagnolo, 6, is seen with his family: mom Lacie, dad Jim and sister Lily. Jimmy rang the bell Feb. 2 at Children's Hospital of Pittsburgh signaling the end of his cancer treatment.